If there were ever a place that could give us design envy, it’s Scandinavia. Thanks to the design acumen of Norway, Sweden, and Denmark, we are always on the lookout for stores that will bring a piece of this Scandinavian brilliance into our own homes. Since flying to these countries every time we’re in need of a new table is out of the question, we wanted to round up some of our favorite online destinations instead. It’s the perfect way to satiate our desire for simplicity, functionality, and sophistication, without the additional cost of a plane ticket. 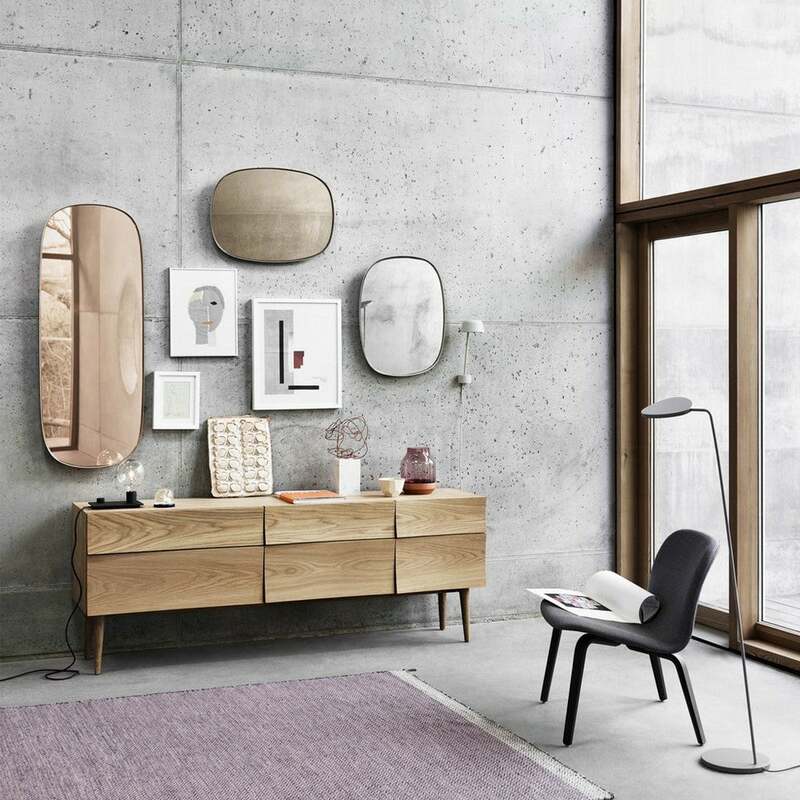 Copenhagen-based Ferm Living has set the gold standard of Scandinavian design since their launch in 2006. Creating contemporary designs fused with mid-century influences, their blend of patterns, colors, and fabrics, distinguishes their designs from their counterparts. The fresh approach to their decor lends dimension for everyday spaces. California isn’t exactly where you would think to purchase the latest in Scandinavian design, but this Venice-based e-tailer is a one-stop-shop for all things for contemporary and modern living. Curating products from 60 designers, Huset, meaning “the house” in Swedish, Norwegian, and Danish, offers a collection from the iconic to the new visionaries. Sleek designs and a spectrum of color lends itself to the philosophy of Jan Andersen and Poul Madsen. Established in 1999, the vision of Normann Copenhagen was to create innovative and original products that were timeless. The sophisticated silhouettes of their designs work off of the broad color scheme for a playful and modern sensibility. Their genius has led the company to sell in more than 80 countries, as well as garner more than 80 design accolades. Lisbeth and Gubi Olsen established this Danish design company in 1967 to create pieces as the equilibrium of contrasting ideals. The designs were made to celebrate past and present, and to be visually beautiful while still practical. Now under the purview of their son, Jacob, he has carried forward the aesthetic of his parents while evolving the brand. What you’re given is sophisticated pieces that elevate any room through his futuristic, yet modern, aesthetic. As the name suggests, Danish Design Store curates authentic furniture from around Denmark. What started as a passion project for quality, Danish craftsmanship, morphed into a thriving e-commerce venture after Steen Grundahl arrived in the US and noticed a unique opportunity to provide the market with his vision and expertise. Since launching in 2006, the company has grown rapidly, offering designs from classic names like Hans J. Weiner and Arne Jacobsen, to the current generation of designers determined to push the envelope of Danish creations. Natalie van Dijk, inspired by Dutch design, established Lekker Home to build a company that championed authentic and sustainable craftsmanship. Based in Boston, the company has grown to incorporate brands from around Europe, including those from Scandinavia. At the top of the list is Fritz Hansen, & Tradition, and Fredericia. Fritz Hansen is to furniture, lighting, and accessories, that Louis Vuitton is to luggage. Collaborative pieces from legendary architects and designers like Arne Jacobsen and Paul Kjaerholm, as well as today’s most inspiring and influential designers, have been built off the Fritz Hansen philosophy—“a single piece of furniture can beautify an entire room or building.” With brands like these at the cornerstone of their venture, Lekker Home is a premium spot for curating lush decor. The passionate pursuit of bringing Scandinavian design to a worldwide platform is what started this venture. Scandinavian Design Center was established in 2002 by the Swedish entrepreneur, Jörgen Bödmar, in the coastal south-eastern town of Kalmar, Sweden. It has since grown to sell more than 200 renowned brands including Georg Jensen, Muuto, and String. With such a vast selection of Scandinavian designs, it’s the perfect one-stop-shop to transform any living space. It would be false modesty if we didn’t bother to mention our very own shop, which we have so carefully curated. We are as enamored with Scandinavian designs as anyone, and so we work tirelessly to make these beautiful pieces more accessible. From dining chairs to wall lamps, we have a little bit of everything to satisfy those Scandinavian needs.